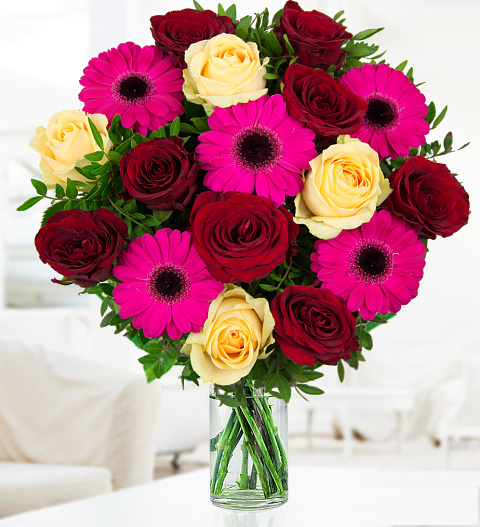 An abundance of velvety 'Upper Class' red roses with sweet Dutch avalanche Roses complimented with gorgeous germini blossoms make this a bouquet to remember. With fresh pistacia framing this beautiful bouquet, it is sure to be adored by your lucky recipient. Perfect for celebrating that special birthday, thanking a generous friend or just to show someone how much you care. The Rose Melody is a top choice.